English-speaking locals are hard to come by in small towns. If not sure, pointing to the fuel tank is quite explanatory. Ok, with those essential phrases, and some simple phrases, particularly in asking for directions, I set off to Japan! Being an ineffective polyglot, I sometimes spluttered something in Italian when I was asked something in Japanese. When I was in Tokyo looking lost while searching for Canon Service Centre to repair my camera, an old uncle approached me to ask if I needed help. I said in Japanese, "I am sorry. I do not understand Japanese." He ended up looking just as lost and confused as I was and later said, "But you speak Japanese!" That is what you get by with rudimentary grasp of a new language - confusing people. First thing you learn to say is "I do not understand." That is always taught in the first few lessons of Pimsleur Language Learning Audio. Most of the time I was in the Shizuoka Prefecture for study. I was quite overwhelmed and impressed by the formality in the work culture over there, a huge contrast to how I usually carry myself at work. I was very conscious and wary about how I present myself to save us from embarrassment. The way that the staff were attentive to our needs were meticulous. My boss and I were fetched to work from our inn and they even showed us the supermarket so we can get our food. My camera broke down, I was loaned a camera by them. We had to queue up to meet the superiors. As guest, we were made to sit. During the self introduction to the board of governor, we had to stand up and say a speech in front of everybody. Nervous! When I managed to splutter a few phrase in Japanese during the meeting, the board asked, "You speak Japanese." When I ironically said in Japanese that I am not very good in the language again, the entire table broke into laughter. Everyday for lunch, we picked up our bento from a wide selection at the supermarket. Kawatzu Nanadaru Loop Bridge in Izu peninsula. I think this place is great for riding. Visited Tokyo Rusk Factory in Izu. Rusk are like bread that has been dried to hard crispy texture. They have many flavours here. Bought quite a lot back because they are so tasty, crunchy and addictive. I finished them before I could take any photos of them. I found an odd pastime while in Japan - exploring the supermarkets and convenient stores! You may think what is the big deal. The big deal is I found things that I don't think even exist. There are queer snacks like sweet potato candy, mochi sweets, and innovative day-to-day items like earpicks that comes with case and mini brush. Queer snacks they might sound, but they were treats to the tastebuds. In the only weekend I had there, I escaped from my boss to Tokyo. On Friday evening, the day before I was to leave for Tokyo. There was a heavy downpour in Hamamatsu. Typhoon had halted the train services so my plans for a sojourn in Tokyo was uncertain. I received a notification of the shelter in the different zones of Hamamatsu. Speaking of efficiency in disaster management. Train station was thronged with stranded passengers, including some in Halloween costume. My new-found past time in Japan - exploring their supermarkets and convenient stores. Some sweets here and a fanciful earpick. I thought this was for the Green Man but actually it was for Old Man. Pedestrian were staring at me when I hit the button, wondering why a young lady like me would require extra time to cross the road. Fortunately, the weather cleared by the next morning and I took one of the earliest train to Tokyo. 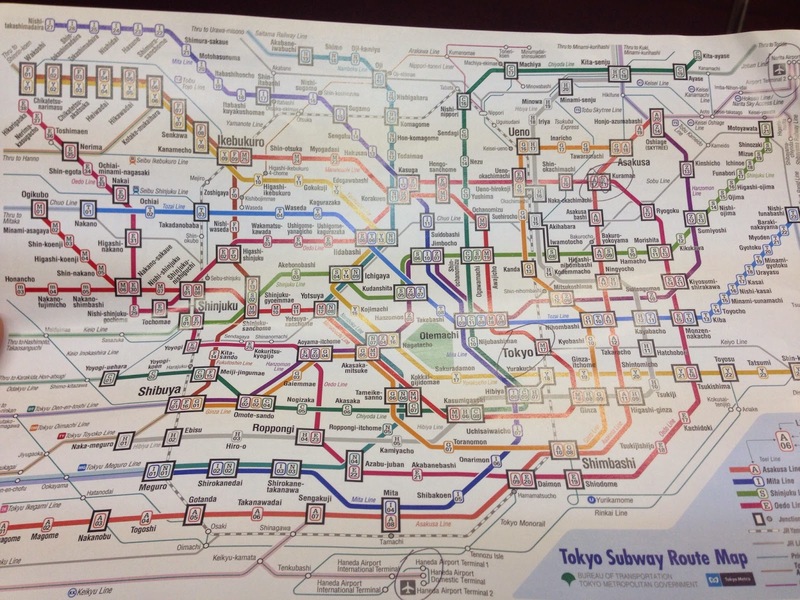 The first sight of the Tokyo subway map was mind boggling! Looking at it, it is complex but very efficient - you can reach almost everywhere in Tokyo by the subway. Nevertheless, with clear concise instructions, I managed to navigate through the labyrinth of subway routes to my hostel - K's House Hostel. When I arrived at the hostel, I was greeted by this. See my name there. How nice and personalised that feels. 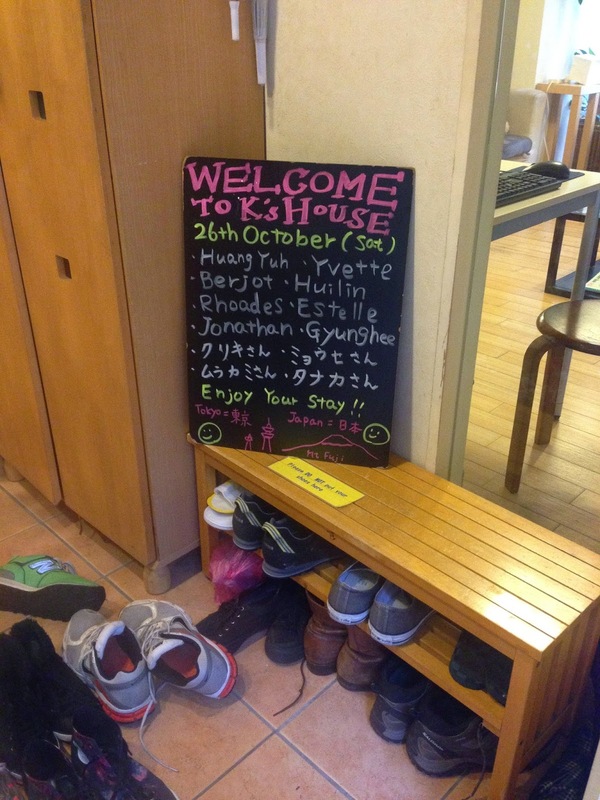 Like in typical Japanese homes, we had to leave our shoes outside and changed into a pair of slippers inside. The common area has a well-equipped kitchen and fridge, low japanese dining table and some sofas. I stayed in the female dorm where there are four cosy beds. The beds came with bleached white sheets and thick comforter. 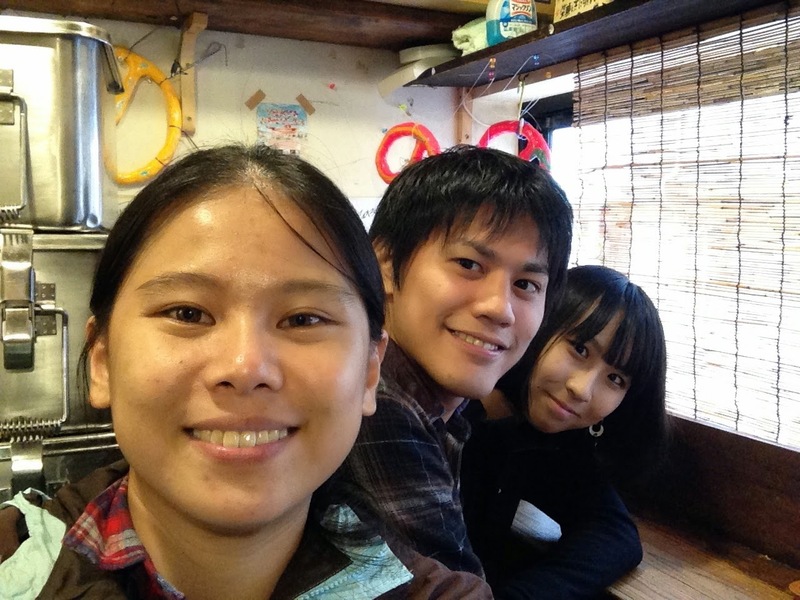 Before I left for Japan, I contacted Ryosuke, whom I got to know while rock-climbing in Krabi. He promised to bring me around on Saturday despite having an English exam the following day which I later found out. His girlfriend Riyo also joined us. Our first destination was the Tokyo Metropolitan Government Building. The aftermath of the Typhoon left Tokyo in drizzling mode throughout the day, I only had a rainproof jacket on, the occasional waft of cold wind really got my legs freezing inside my wet jeans. Riyo came prepared with an umbrella, and we had to awkwardly share the tiny umbrella together. Tokyo Metropolitan Government Building houses not only offices but also an observation deck on the 45th floor where you can get a panoramic view of Tokyo and if weather is clear, you may spot Mount Fuji. What can the Japanese not come up with? Here are some very innovative and interesting products. Nose hair, ear hair shaver, many types of nail clipper, one with magnifying glass with consideration to the ageing population and wolverine. Then Ryosuke bought us to one of his favourite Ramen stall. First we had to buy a ticket from this vending machine. And then a 45 minutes queue in the narrow alley way. Pass the tickets to guys behind the counter and they will prepare your Ramen. I don't eat meat, so I passed the chashu to Ryosuke. Chewy noodles and flavourful soup base. Then, Ryosuke bought us to Harajuku Street to visit an avant-garde boutique. The boutique called, DOG is well-hidden in the basement of a very ordinary looking building. The only hint of something quirky is a mannequin donning Lady Gaga style outfit, guarding the stairway. Ryosuke told me that Lady Gaga patronises this boutique. Too gaudy for me to wear but a fascination to look at them and marvel at the level of comfort the wearer goes through. It is not difficult to imagine Lady Gaga behind that mask. It was near Halloween. People decked out in wacky costumes were seen everywhere. This guy brought Tokyo banana to a whole new level. Lastly, Ryosuke brought me to Izayaka for finger food and drinks. Izayaka are drinking establishment frequented by the Japaneses after working hours. I heard about their hard liquor called Shochu, they are stronger than sake and are distilled from a variety of sugar source - wheat, rice, potato etc. I told Ryosuke I wanted to try. I don't know. I will just let them choose what to drink. They decided on the potato shochu and then the wheat shochu. Since they refused payment from me for the drinks, I gave them Yakun Kaya in appreciation for introducing me to Tokyo and treat. Thank you so much Ryosuke and Riyo! Tipsy and gradually feeling the potency of the shochus kicking in much later, I floundered through the subway labyrinth back to the hostel. My clumsy collapse onto the dorm bed drew concern from a Swiss dorm mate. "Are you alright? ", she asked. "I am ok. Just had too much drink just now." "Haha, that happened to me a few days ago. It was my birthday and my friends made me drink. Look at the presents I have to carry back now," she said as she slapped her almost-exploding backpack. She introduced herself as Lili who was backpacking solo Japan for a few weeks before getting married and settling down in Switzerland. Lili was leaving Tokyo for Kyoto the next morning, in the same direction I would be traveling. The idea of having a companion for the train ride back to Shizuoka was appealing but I have not ventured Tokyo enough. I have yet to shop for a helmet - one of my intentions of coming to Tokyo. The price of Arai and Shoei helmets in Japan is significantly cheaper than in Singapore and I could not miss this chance for good deal. Lili and I exchanged contacts and she told me to look for her if I happen to be Switzerland. Another dorm mate, AJ from New York went hunting for breakfast together and conversed. So I was asked the typical questions Singaporean faced when overseas; where am I from, where is Singapore, why is my English so good. She was on a scholarship to travel and live in a few cities for a month each, to research, observe and write on a topic. She was at K's House temporarily while searching for a longer term accommodation solution. Breakfast! K's House has a very well equipped kitchen with basic condiments as you can see in the background. If you are really on a budget, you can easily cook your meals there. I was observing a guest meticulously preparing and pan frying bacon-wrapped enoki. I researched about motorcycle apparel and accessories shops in Tokyo but could not get much information on them other than they are concentrated in Ueno, and there are not many shops left. From Ueno metro, I simply listened and followed the directions of Harley or some loud motorcycles rumbling past. When I saw streams of motorcycles lining the road sides, I knew I was near what I was looking for. The street was not bustling with motorcycles like Jalan Besar. It was pretty quiet, unlike what I expected. Pimped up motorcycles appeared sporadically around Ueno. So I wandered up and down a few shops to explore the choices of accessories available there. There was one shop called Rabee which has two outlet along the same road. It is worth taking a look if you are motorcycle enthusiast. The most awesome part - one of the outlet has an entire floor dedicated for female motorcyclist! 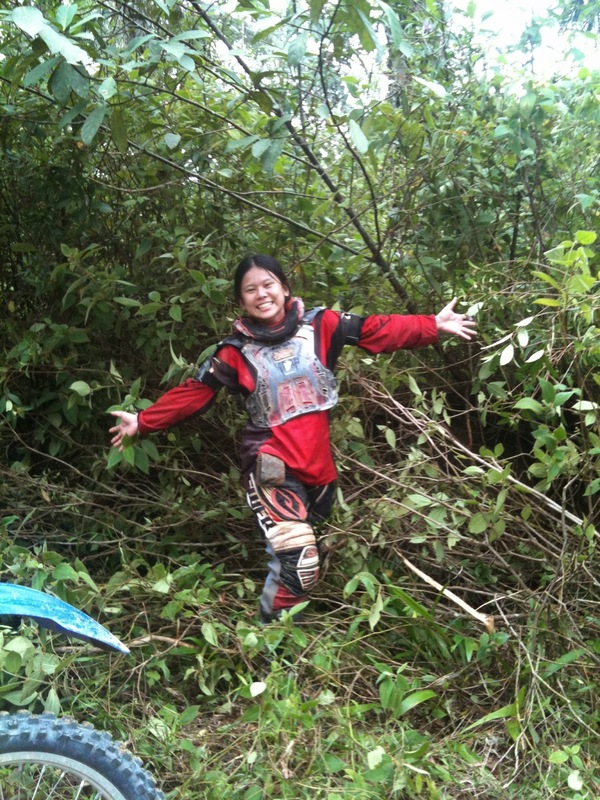 It was something to rave about coming from a male-dominated motorcycling community in Singapore. Mail scooter top box for my touring trips? Whoa Whoa, the entire level 3 is dedicated to female riding apparels. I bought myself an Shoei Multitec which it cost around 34,500 Yen (S$437). It cost around S$600 to S$700 in Singapore. *This outlet has a ladies section. She cuts out two dragon! Kaminarimon. The lantern is sent for restoration work every 10 years. I so happened to be there. The Sensō-ji shrine was thronged with locals and tourist alike on a weekend. Ryosuke said he like this place. Here you can get your fortune but shaking a tall cup with many sticks inside, until one falls out of the cup. Then using the number on the stick, you find the fortune reading in this drawer. The Japanese has always revered Mount Fuji, endearingly called Fuji-San. Many art and poetries have been inspired by the beauty of Fuji-San. It was no surprise that Mount Fuji was listed UNESCO World Heritage List as a Cultural Site in 2013. During the time I was in Shizuoka, Mount Fuji had been shrouded by the thick clouds brought on by the imminent typhoon. Peek a boo behind the clouds. At the rainbow trout farm in Fujinomiya. I was staying in Fujinomiya. In the evening, I took the local train to the near by shopping mall to get my meals and walk around. The train stopped at my destination but the doors did not open. Every second of me panicking counts down to the train departing the station. It did not help to panick! I looked around the door and found what looked like an emergency button except that it was not in menacing red colour. I pressed it and Hey Presto, the door opened! Phew! Unlike in Singapore, the next train does not come that frequent. If I were to miss my stop, it would be a long wait for the next train back. I later learned from Takase-San that the train doors in colder regions do not open automatically in order to conserve heat in the train. As Fujinomiya is situated in elevated altitude, it is colder than other regions. Sun rising next to Mount Fuji. Still could not see her. Otodome Falls. Could not get to Shiraito falls due to landslides. A little glimpse of the snow cap. On our last day in Fujinomiya, after 10 days in Japan, Tanaka-San excitedly brought us to the window. What was revealed in the window was the artistry of Mother Nature, a mountain so gentle and so symmetrical, donning a white snow cap. I was told that, if there is a pretty lady, she would hide behind the clouds, if there is a handsome guy looking at her, she will reveal herself. 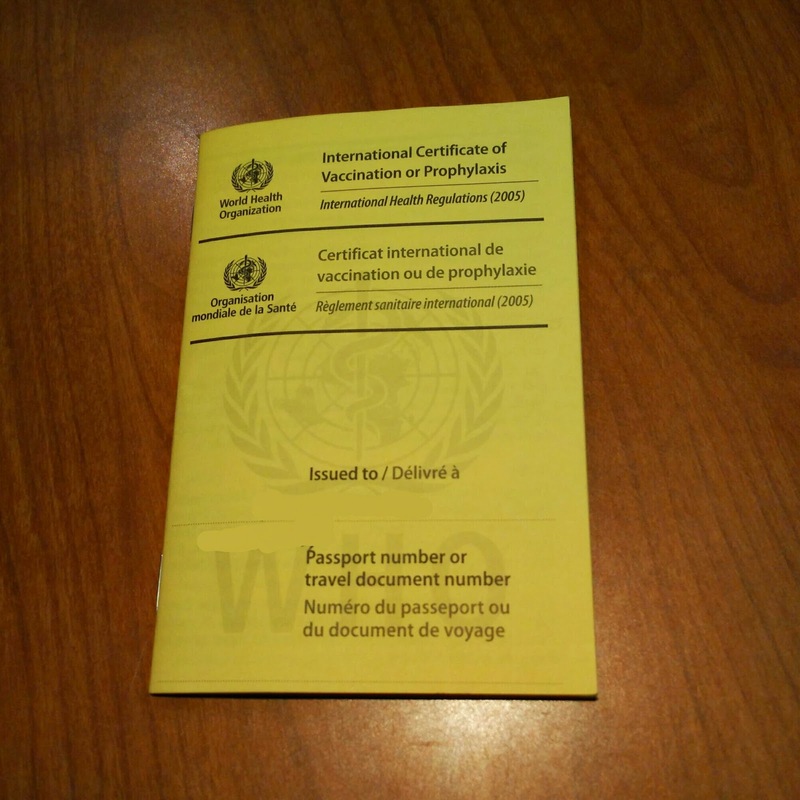 You can read about the various options here. So if you wish to get the most affordable arrangement which is also the bulkiest, you may need to rent a phone for phone calls only and a WiFi device or data only SIM card. Unlike other countries where you can just get a prepaid card and top up as you wish, the range of prepaid cards is limited and inflexible. For prepaid, I only know of those with data plans only. You cannot make calls or SMS with this. What commonly done is to rent a postpaid SIM card and you need a credit card for that. Any calls or data chargeable will be billed to your credit card after you returned the SIM card. Do rent your SIM cards or WiFi devices online at least 2 days in advance, if you are visiting during peak season, get them earlier. Since I was there for work and needs to be connected, my boss and I opted to get a SIM card and a portable WiFi router which can connect up to 4 devices at a time. As I will be away from my boss and WiFi router during the weekend, I opted for Softbank's postpaid SIM card which offers both calls and Data. It is affordable for receiving calls but the data plan is quite pricey, 0.32 Yen per 128bytes capped at 1,500 Yen (S$15) per day. At long as you exceed 600kb a day, which is just enough to load a 4-5 photos, you will need to pay 1,500Yen. Thus, I only switch on the Cellular Data for two days mainly for using Google Map. You can check the train schedule and ticket pricing on website Hyperdia. For a very comprehensive information on Shinkansen, read this. When I first arrived in Narita Airport, I purchased Suica (prepaid card) and N'EX (Narita express, two way between Tokyo and Narita Airport) package. *This package has been discontinued. They are now purchased separately. * The Suica can be recharged and used for subway, bus and purchases at most of the shops. There will be a 500Yen deposit which is refunded upon returning the card. However, should there be any remaining value in the cards, there will be an administrative charge of 220Yen. If you cannot exhaust your card value down right to exact 0 Yen, you can spend the card balance at a shop and pay the remaining with cash. It took me some time to comprehend the railway system in Japan but they are very efficient. Trains arrive on time, if not, even early. Different prefecture is served by different transportation system. The Suica can also be used in other area in Japan as long as you are boarding and alighting from the same prefecture. For example, Tokyo is under JR East, Shizuoka is under JR Central. I cannot use the card to travel from Tokyo to Shizuoka using Suica. However, I can use the card to travel from Shizuoka to Hamamatsu which both stations are under JR Central. You can find out more about Suica here. Loot from Japan. See that yellow bundle there, there was my clothes for two weeks in Japan. 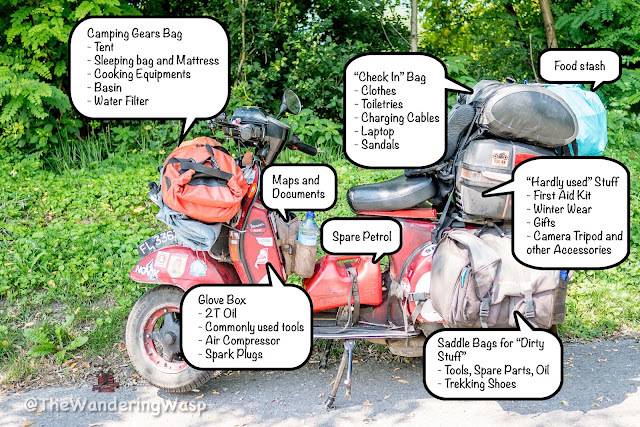 My luggage space and hand carry bags are for souvenirs and helmet. Hi juvena, I wonder how much did you spend for K's House/night? How long did you stay in Japan? did you manage to travel with your wasp around? Tokyo is the city of Drifting, either on bikes or cars. Tokyo is the city of technology. With safety precautions, road travelling is more exciting activity. Bike travelling at such a exciting place would be lovely experience. I was quite overwhelmed and impressed by the formality in the work culture over there. It’s really great information for becoming a better Blogger. Keep sharing, Thanks. For more details to visit biker safety jackets.